Long after the Hatchimals have hatched, their batteries have died, and they’ve been relegated to the donation bin, a good book will still be standing strong on the shelf. From tall pirate tales to small seabirds with big personalities, here are nine new coastal books for the children on your list. 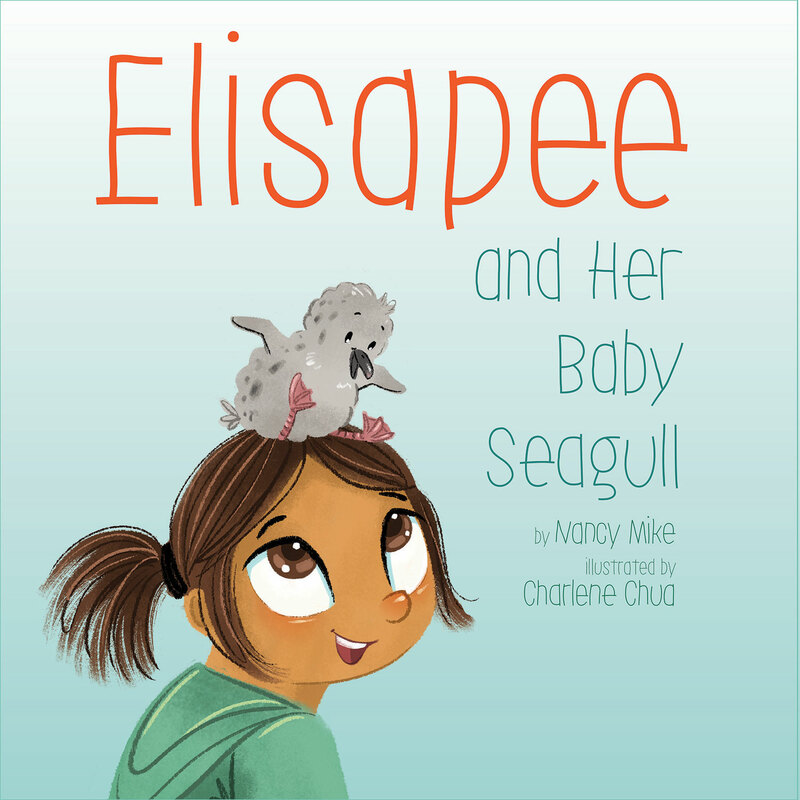 Elisapee and Her Baby Seagull is a perfect book for any child who’s yearned for a pet. When Elisapee’s dad brings home a baby seagull, the seven-year-old girl is thrilled. She names the bird Naujaaraq, Nau for short, and dotes on her, feeding her sculpins and krill, helping her learn to fly, and tying a pretty pink ribbon on her foot so she stands out from other gulls. With Nau’s newfound independence, Elisapee worries that her bird won’t return home and one night, she doesn’t. This is a story of the patience and love required to have a pet and of the sadness of losing a companion but eventually finding joy in remembering their spirit. The lively illustrations capture the emotion of the story and offer a glimpse into childhood in Nunavut. The elephant and the mouse went to sea … and the rest of the story Woodrow at Sea is up to your interpretation of the cute and colorful watercolor illustrations in this wordless book. 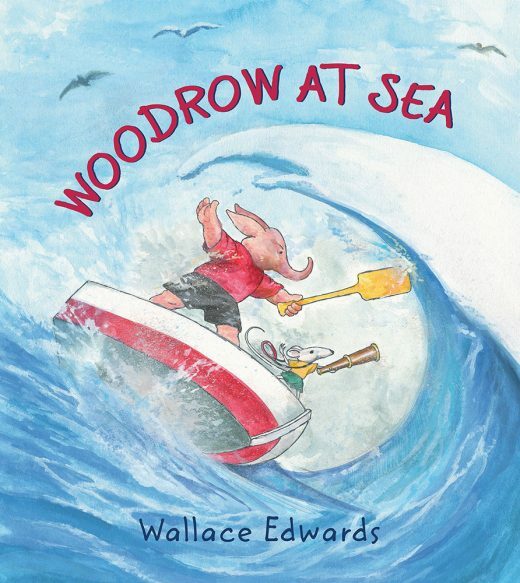 Some facts are clear: Woodrow the elephant sets out in his paddleboat and spots a tiny mouse standing on what appears to be a rock in the middle of the sea. Or is it a sea monster? The mouse hops on board and the duo sets out on an adventure that includes weathering an angry storm, breaking into song, and finding an island with a giant chunk of Swiss cheese squeezed between palm trees. If you’re looking for a more interactive reading experience, try taking turns telling the story with your young reading buddy. Travel to the Great Bear Rainforest, on British Columbia’s Pacific coast, and get to know the locals through up-close-and-personal photography and engaging tidbits that speak to young readers in A Bear’s Life. For example, did you know that each bear has its own style of fishing? Some “sit on the river’s edge and scoop the fish up like ice cream.” Bears also eat barnacles “like popcorn.” (Make sure you have a snack on hand for after story time.) 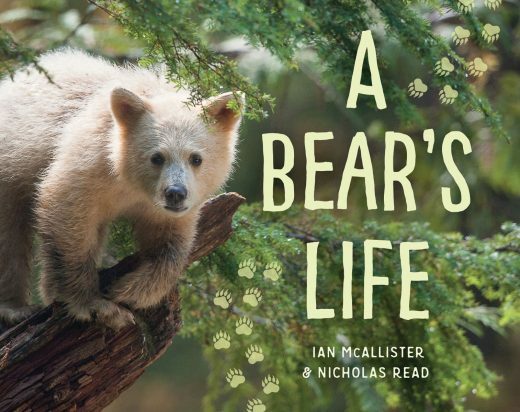 This book, part of the My Great Bear Rainforest series, highlights the differences between grizzlies and black bears, and weaves in Indigenous knowledge related to why some black bears are white. Kids and adults alike are sure to ooh and ah over the adorable photos of cuddling cubs and berry-picking and salmon-scooping adults. When a thick fog descends on Icy Island, a yellow warbler named Warble is unable to partake in his favorite pastime: human watching. In The Fog, the bird, who documents his specimens like a dedicated birdwatcher (#664 American Bushy-Browed Surf-Head, for example), is desperate for a strong gust of wind to lift the curtain of fog. When it doesn’t come, he has to get creative and forms an unexpected partnership with #673 Red-Hooded Spectacled Female (Juvenile). 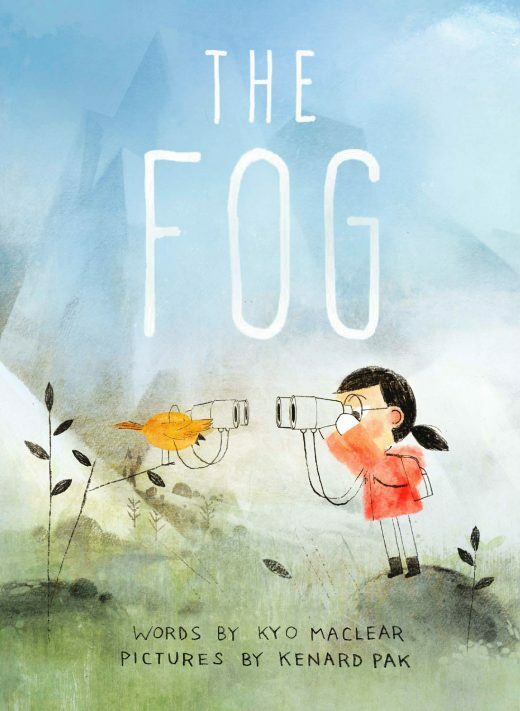 The words and illustrations in this lyrical book beautifully convey the essence of fog as it “wisped and swirled, climbing hills and spilling into valleys.” Adults will get a kick out of how the animals discuss the weather just like we do: “I like what it does to my feathers,” says a swan. 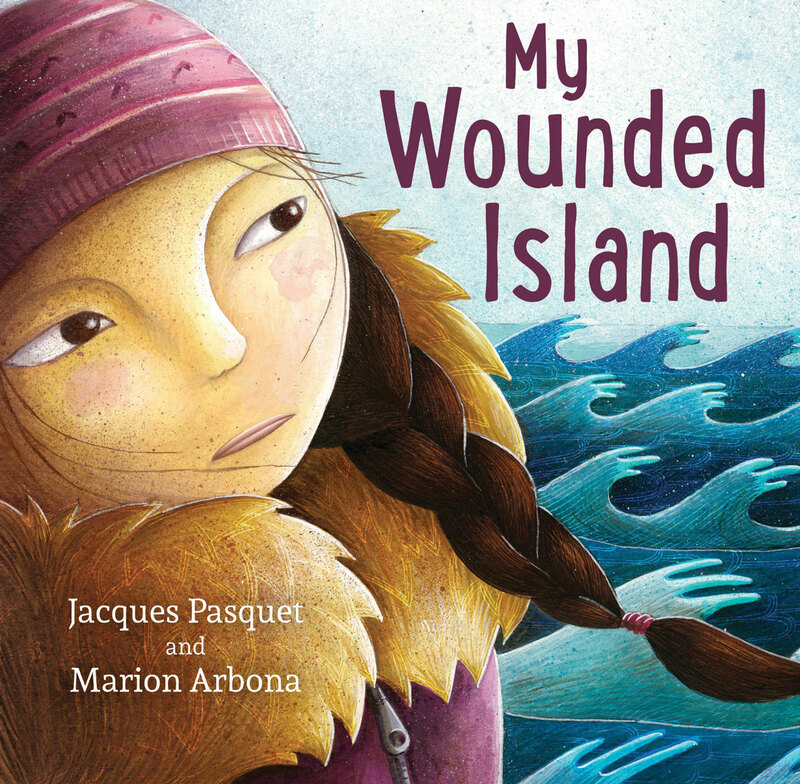 If you’ve been looking for a way to explain the devastating effects of climate change to a child, My Wounded Island offers a window into the discussion. In this somber story, young Imarvaluk tells of a greedy and invisible creature that’s slowly swallowing her “ink stain of an island” near the Arctic Circle. Sadly, there is no happy ending. Instead, readers are left contemplating how a culture can be lost when its homeland disappears into the ocean. The thoughtful images lovingly capture the Iñupiat way of life, and subtly depict the ever-present threat of climate change. On every page, a sketch of a jellyfish-like monster appears—waiting, watching, and intruding on Imarvaluk’s dreams. The book is written for preschoolers, but may be a bit heavy for circle time. My school-aged daughter concluded that the book was sad and scary, a sign that she’s starting to understand the ramifications of climate change. If you’re stuck knee-deep in snow, The Seashore Book will transport you to the beach, where the “cold water makes your skin feel like peppermint” and the “hot noonday sun … feels warm as a big, soft cat covering you.” This charming classic, which has been reissued to celebrate its 25th anniversary, starts with a simple question: “What is the seashore like?” a little boy who lives in the mountains asks his mother. With the skill of a seasoned storyteller, the mother helps her son imagine every little detail, from the moment the sun breaks through the morning mist until the big orange ball sinks into the horizon. 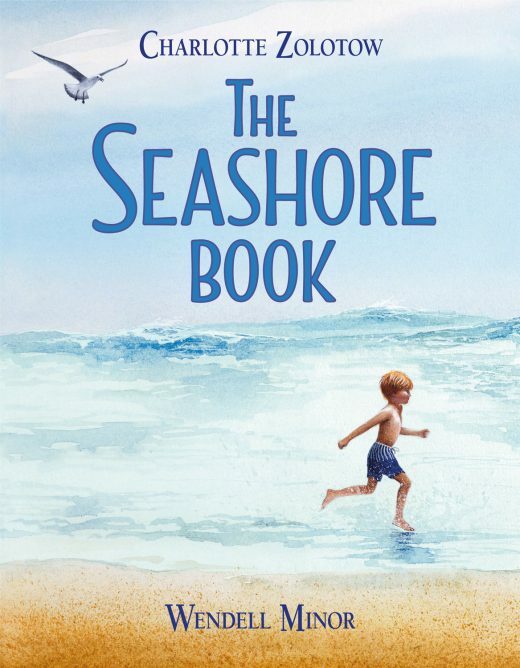 The simple, timeless illustrations parallel the imagination of the young boy and help us see the seashore for the first time again through his eyes. 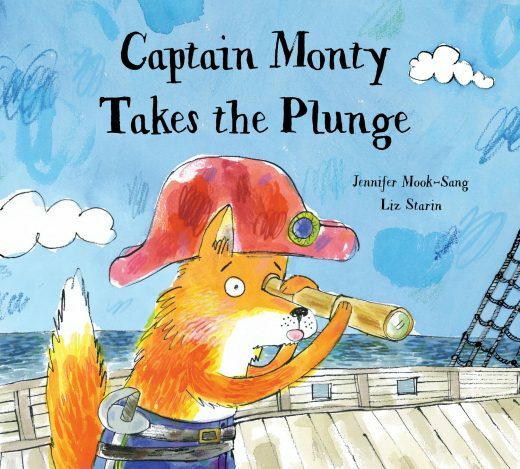 I was worried Captain Monty Takes the Plunge would be just another salty love story when Monty, a fox pirate, spied a mermaid through his telescope and instantly “tumbled head over boot heels in love.” Monty, who’s smelly and afraid of swimming, tries to woo Meg the mermaid, but she shoots him down due to his stench. The cliché continues when Meg is pulled under water and Monty faces his fears and jumps in to rescue her. Eye roll. But then, the tide turns, and Meg saves Monty. The strong female character—with hairy armpits, an abundant body, and a streak of red hair—then invites Monty on a date and teaches him how to swim. Girl power! Cat person or dog person? 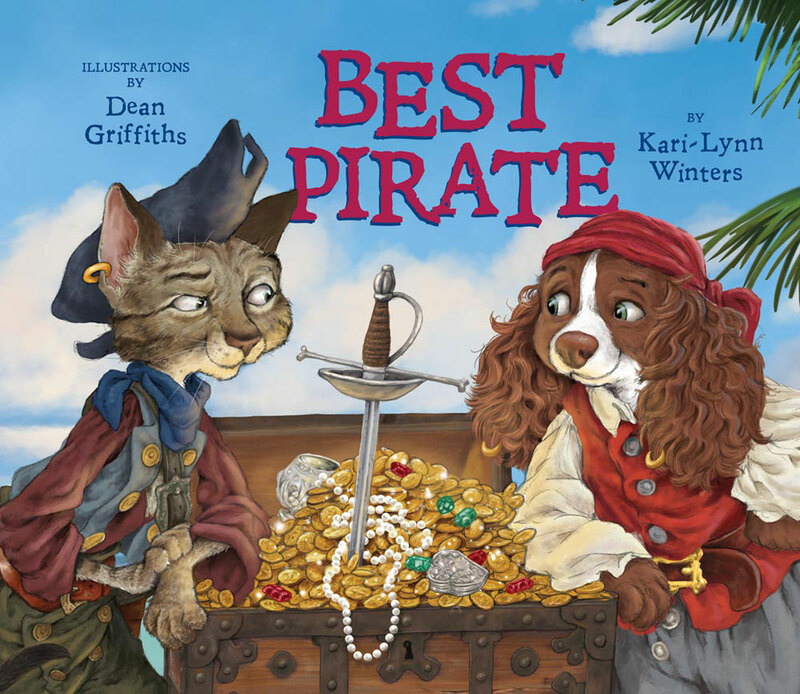 Choose your side and hang on for the ride as the Tuna Lubbers and the Frilly Dogs race to find the booty in Best Pirate. No need to put on a pirate voice to recount this tale; the author takes care of that by writing the dialogue in polished pirate speak. It’s easy to flub like a landlubber the first time around, but, “We’z all be learnin’ from the best.” In this tale, sea pup Augusta sets out solo to Crossbones Island to dig up the doubloons after accidentally destroying her father’s map. When she comes face to face with a pirate kitty, she learns that working together—even if it involves an arch-enemy—is the best way out of a jam and sharing makes us all richer. The richly colored illustrations, dramatic expressions of the characters, and dialogue written on scrolls pull readers into the pirate drama. 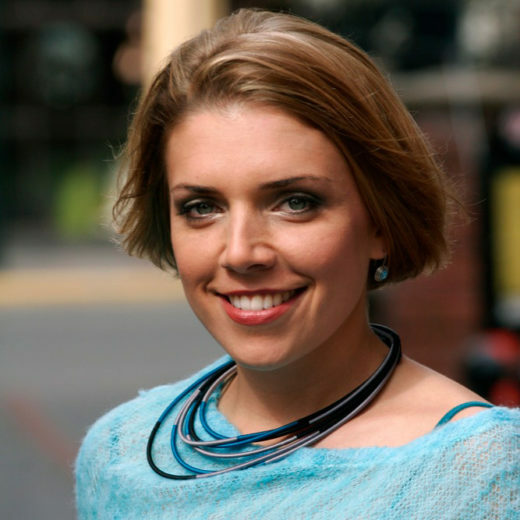 ’Tis the season for celebrating miraculous births. On November 14, 1963, a volcano erupted under water off the coast of Iceland and the island of Surtsey rose to the surface. 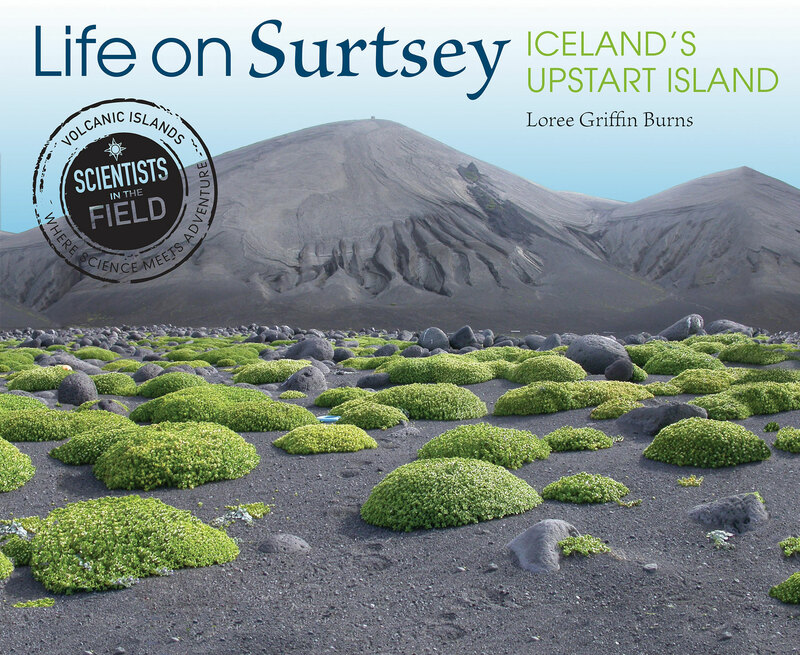 The island, named after Surt, the Icelandic god of fire, has since become fertile ground for studying how life colonizes new islands. 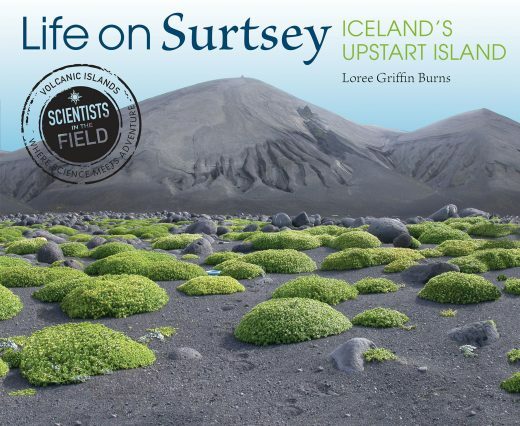 In Life on Surtsey, the latest edition in the Scientists in the Field series, author Loree Griffin Burns joins entomologist Erling Ólafsson on his annual expedition to the unique ecosystem, which he first visited in 1970. Budding scientists will be inspired by Ólafsson’s passion for the newest island on Earth and intrigued by how scientists survive during field season (hint: there are bunk beds, but no toilets). Photos of Surtsey’s immaculate conception and of the animals that started their lives on the island are sure to delight readers young and old. Cite this Article: Raina Delisle “Coastal Kids’ Books to Cozy Up with This Season,” Hakai Magazine, Dec 7, 2017, accessed April 23rd, 2019, https://www.hakaimagazine.com/article-short/coastal-kids-books-to-cozy-up-with-this-season/.